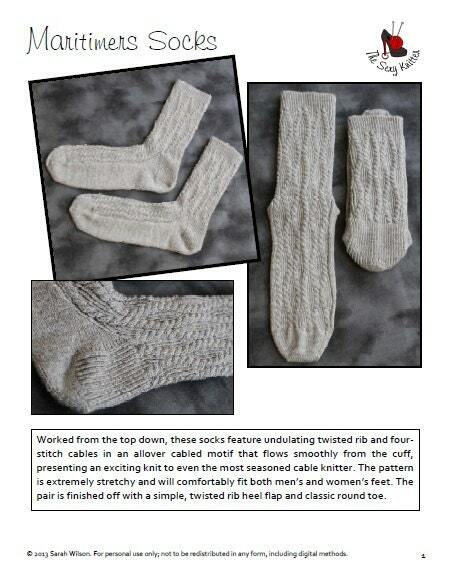 Worked from the top down in undulating cables and twisted rib, these socks are handsome for both men and women. 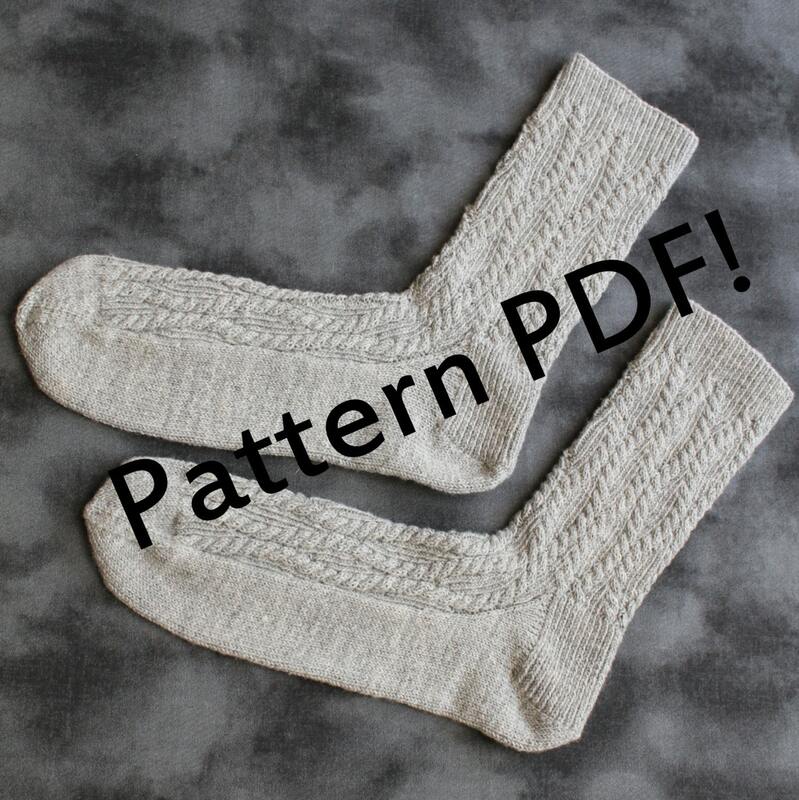 The cable chart would convert easily to toe-up socks and would result in the same look. 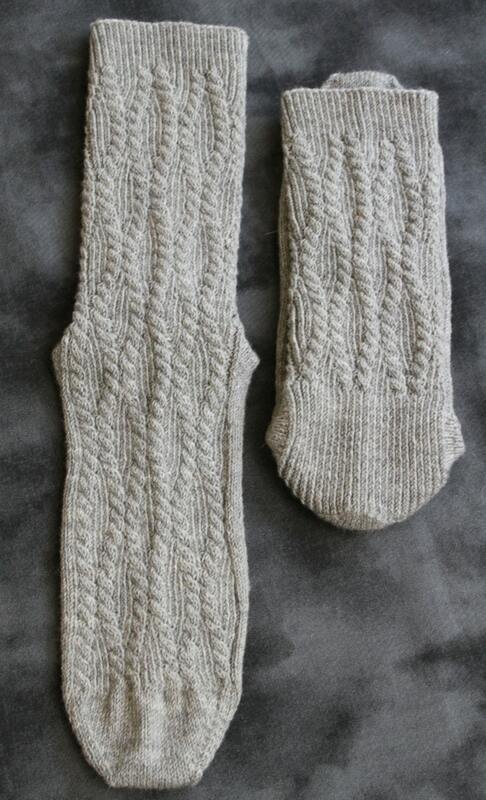 Sock is extremely stretchy and will be comfortable on ankles ranging from 25-30 cm.